In search of the perfect space to host a corporate event or holiday party in Orlando? If it seems you've been searching for eternity, there is where to host a corporate event in Orlando Wall Street Plaza is the answer to your party planning prayers. 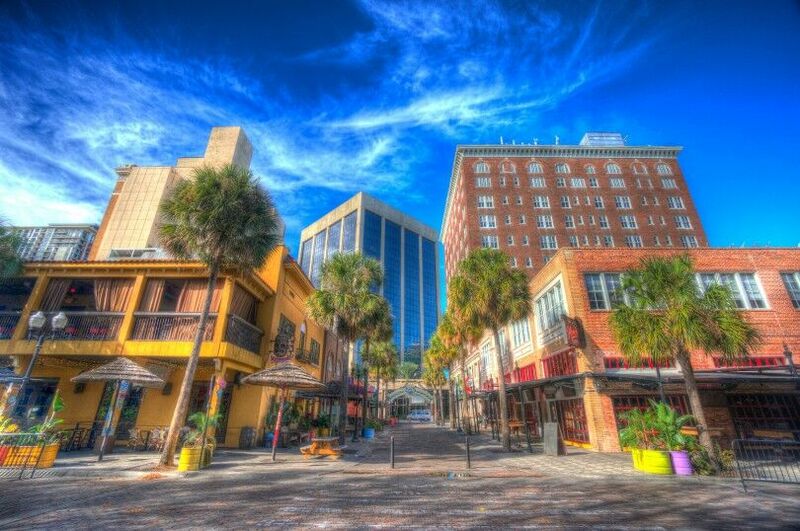 The entertainment venue in Downtown Orlando can accommodate guest sizes, from 10 – 5,000 people. Depending on how large your company holiday party in Orlando is, this location can adhere to any specifications. As each venue within has something unique to offer. The moment you contact Wall Street Plaza, you will hear back from their team within 24 hours. 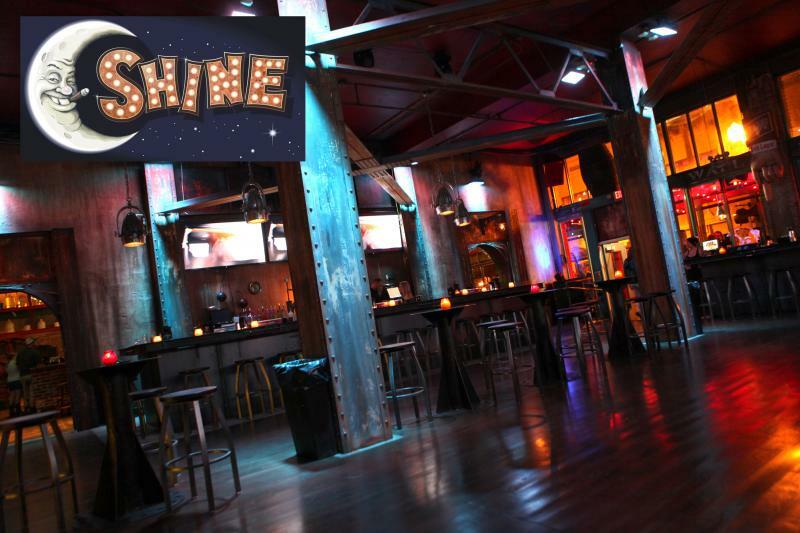 This Downtown hot spot has 7 stand-alone venues to host your next corporate holiday party in Orlando. Albeit for an intimate size, or a guest list worthy of a full-blown block party. 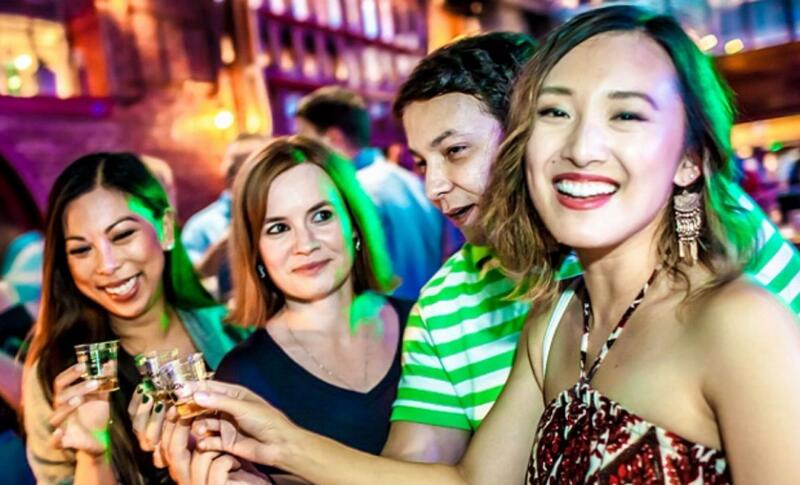 There are 7 different Downtown Orlando event venues to choose from, or better yet all of them. The clubs include Cantina | Wall Street, Sideshow | Wall Street, Hen House | Wall Street, Hooch | Wall Street, Shine | Wall Street, The Monkey Bar, and Waitiki | Wall Street. A description of each is below. Along with their usual hours of operation. All of this can be taken over, when you decide if you want your corporate event or company holiday party in Orlando to be small, medium, large, or grand. There are packages to suit any size or mood. Why not visit Wall Street Plaza on a night to see the venues in person and get the feel of each location, before you decide. Each venue within Wall Street Plaza has a unique atmosphere offering specialty items. Wall Street Plaza has a dedicated team, which will cater to your needs making sure your company holiday party or corporate event is a hit. Thluxuryory allows you to have a buffet, or smaller platters offering extremely fresh food, quality service, and atmosphere for your next holiday, or corporate event. 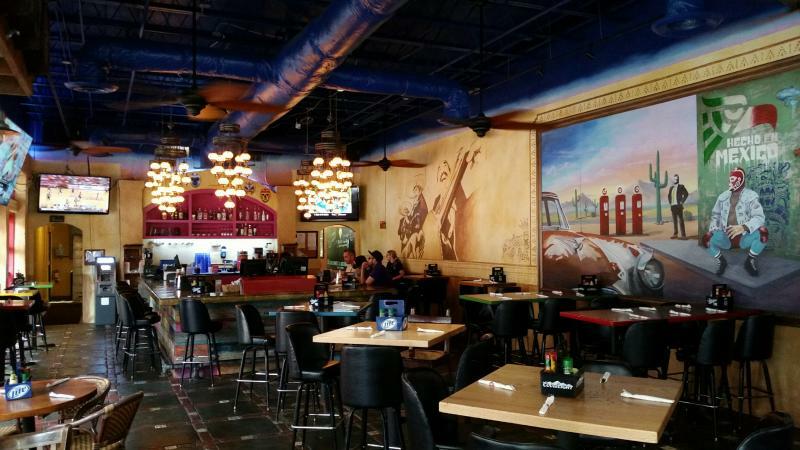 Wall Street Cantina serves Mexican style food and drinks, from 11 a.m. to 11 p.m., seven days a week. Happy Hour is offered Monday – Friday, from 4 p.m. to 7 p.m. Which includes half-off appetizers. There is both indoor and outdoor seating. Their half-priced food and drinks vary from $3 and up. They are notorious for their weekly Taco Tuesday. Soak in the environment to see if this is a location you would like to include in your event. Sideshow offers a unique attractions atmosphere, with 80-inch-high definition televisions around the walls. They are open Monday – Friday, from 11 a.m. to 2 a.m., and on Saturday and Sunday, from noon – 2 a.m. Food is served until 11 p.m. daily. This venue is entirely enclosed. It is great for indoor events, with an upbeat feel. Get creative with your company holiday party in a carnival setting with unique decor covering every inch of the space. 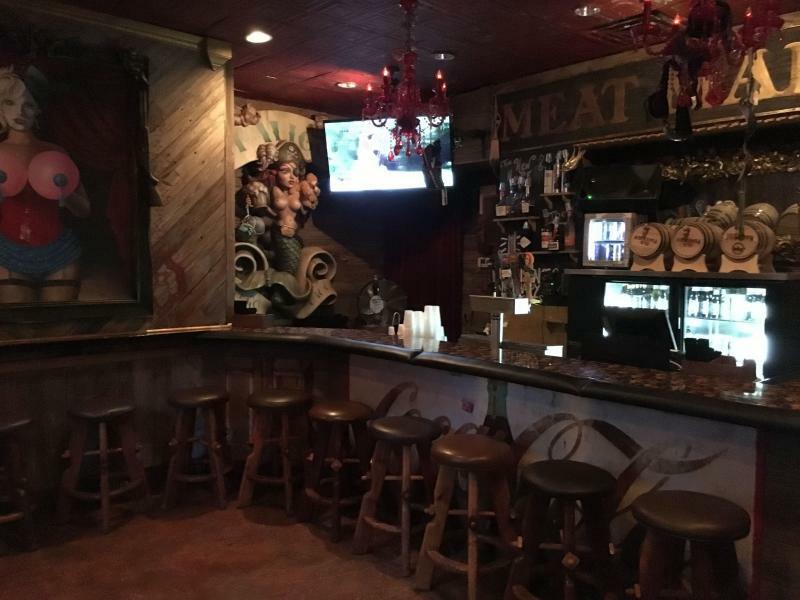 The Hen House is an intimate bar perfect for a small company event. There are crafted beers, rare liquors, and famous apple pie moonshine to choose from. They are closed on Monday’s and Wednesday’s. 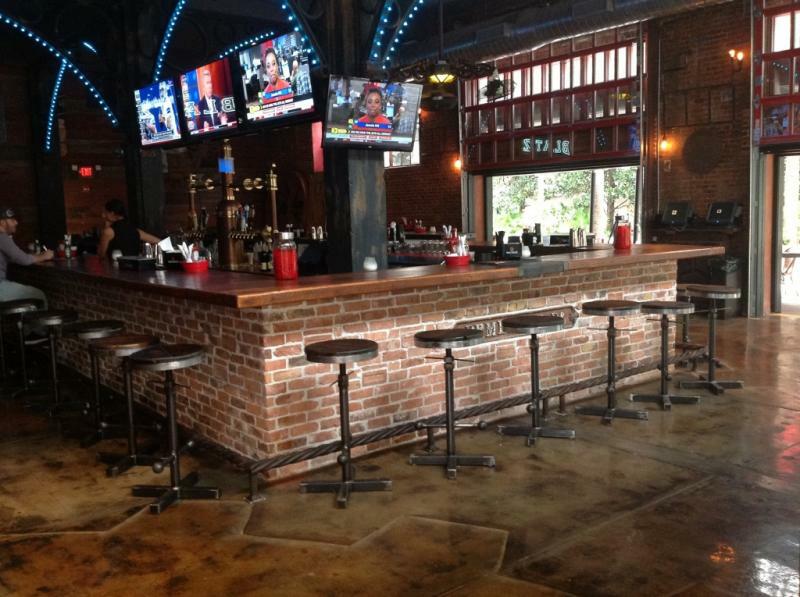 They are open Tuesday, Thursday – Saturday from 8 p.m. to 2 a.m.
Hooch has an open outdoor floor plan. This bar has an industrial/steampunk décor. They have house batch made Moonshine in flavors such as Apple Pie, PB&J, and Lemonade. Hooch’s happy hour is from 4 p.m. to 7 p.m. They are closed on Monday, but are open Tuesday – Friday, from 4 p.m. to 2 a.m., and they are open Saturday and Sunday, from noon to 2 a.m. Their kitchen hours are on Friday, from 5 p.m. – 11 p.m., on Saturday, from noon to 11 p.m., and on Sunday from noon to 10 p.m. This outdoor and indoor plan is great for watching games or other sporting events. The Monkey Bar is a Martini Lounge and is Wall Street’s stunning upstairs hideaway. 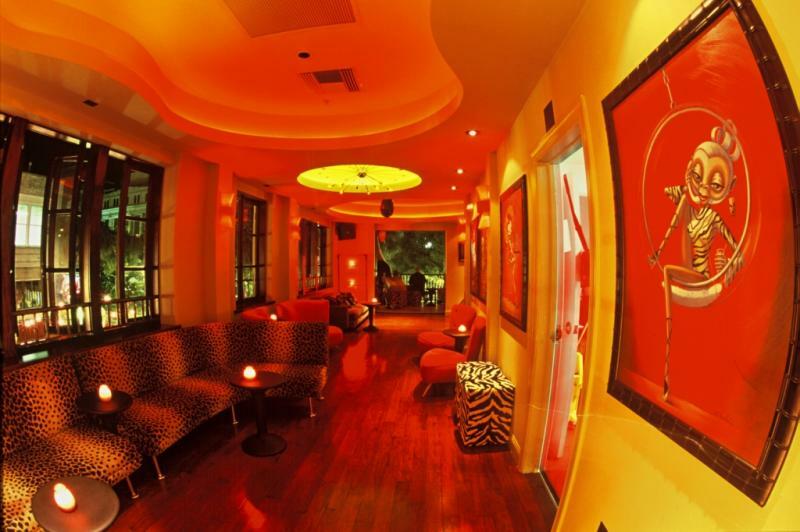 This venue has a beautiful outside balcony and is perfect for private parties or more intimate sized events. Happy Hour is on Friday, from 5 p.m. to 7 p.m. The Monkey Bar is closed from Monday – Wednesday. They are open on Thursday, from 9 p.m. to 2 a.m., Friday, from 5 p.m. to 2 a.m., Saturday from 9 p.m. to 2 a.m., and on Sunday, from 5 p.m. to 2 a.m. Dinner is available four nights a week. Dinner is available, until 11 p.m. on Thursday, Friday, and Saturday. 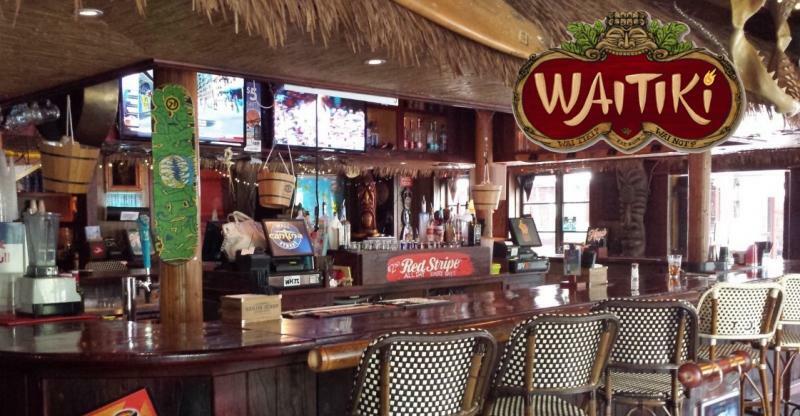 Dinner is available on Sunday until 10 p.m.
Waitiki is an outdoor Tiki bar. This venue offers bar food and tiki signature drinks. This location has an island feel. Drinks include the Dark & Stormy, a Goombay Smash, or a classic Mojito. This venue offers an island experience. Happy Hour is from 4 p.m. to 7 p.m. This location is open 7 days a week. On Monday, from 5 p.m. to 2 a.m., Tuesday – Friday, from 4 p.m. – 2 a.m., and Saturday and Sunday, from noon to 2 a.m. They serve food on Thursday & Friday, from 5 p.m. to 11 p.m., Saturday from noon to 11 p.m., and Sunday from noon to 10 p.m.
Wall Street Cantina and Sideshow offer a variety of food, entertainment, and drink options for your event. Each platter can serve 25 people. Platters start from $35-$165. Food varies from Chocolate dipped strawberries to Blackened Steak Skewers. Hooch, Shine, Waitiki, The Monkey Bar, and The Hen House offers everything from the basic chips and dips to crab cakes, shrimp cocktail, and mini lobster rolls. Pick and choose your platter, or buffet setup.